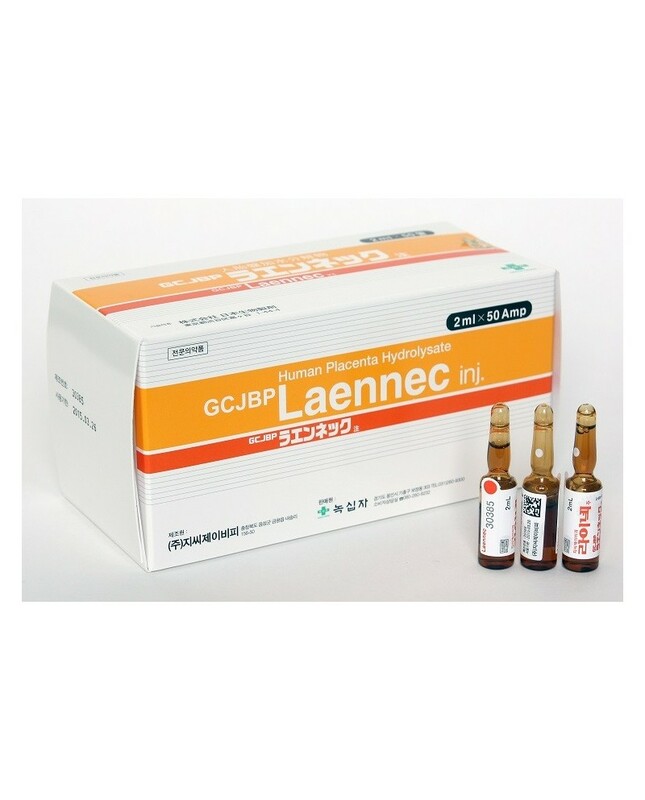 GCJBP LAENNEC Placenta 2 ml x 50 ampules. 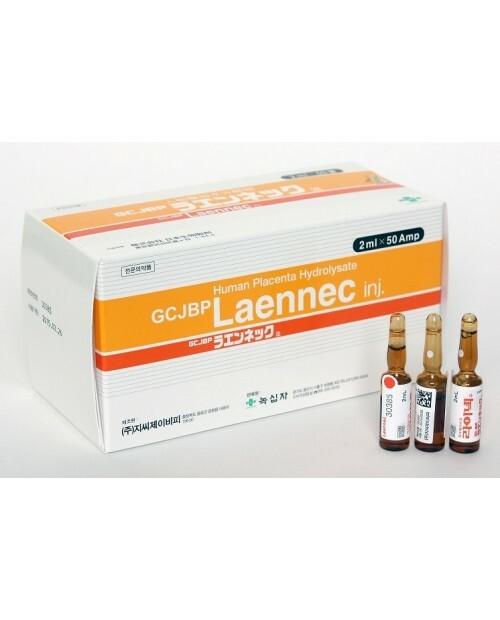 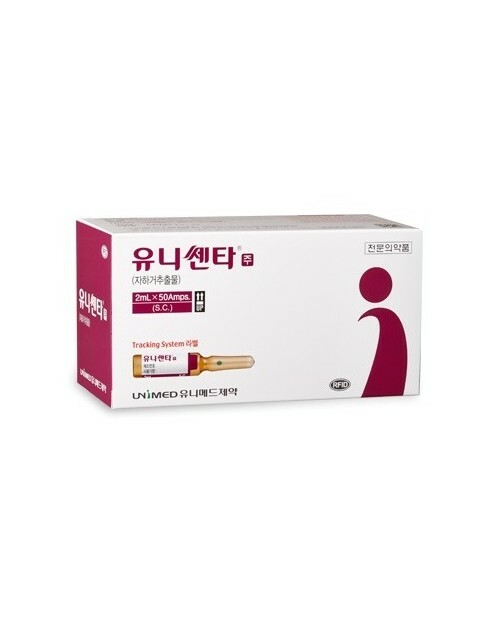 Laennec is the ethical drug manufactured with JBP's unique technologies for effective extraction of variety of growth factors, cytokines, and other physiologically active substances from the human placenta. 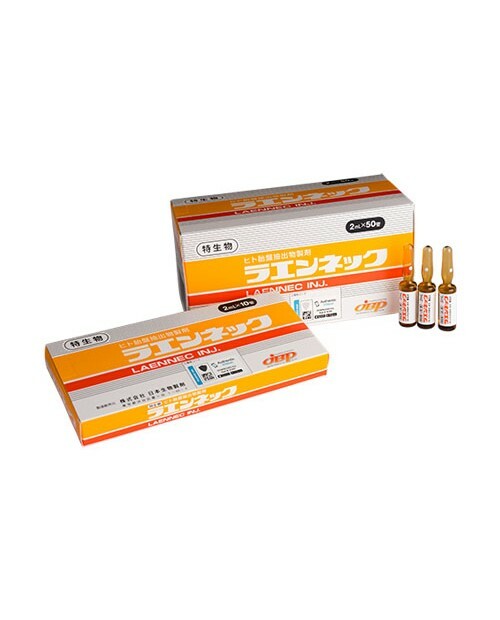 For instance, HGF (hepatocyte growth factor) promotes the proliferation of hepatic parenchymal cells for recovery of a damaged liver. 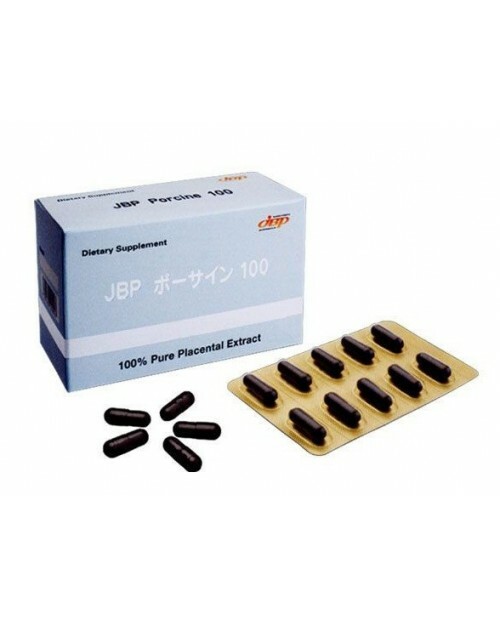 Our product safety is ensured by the most rigid safety measures among existing scientific standards. 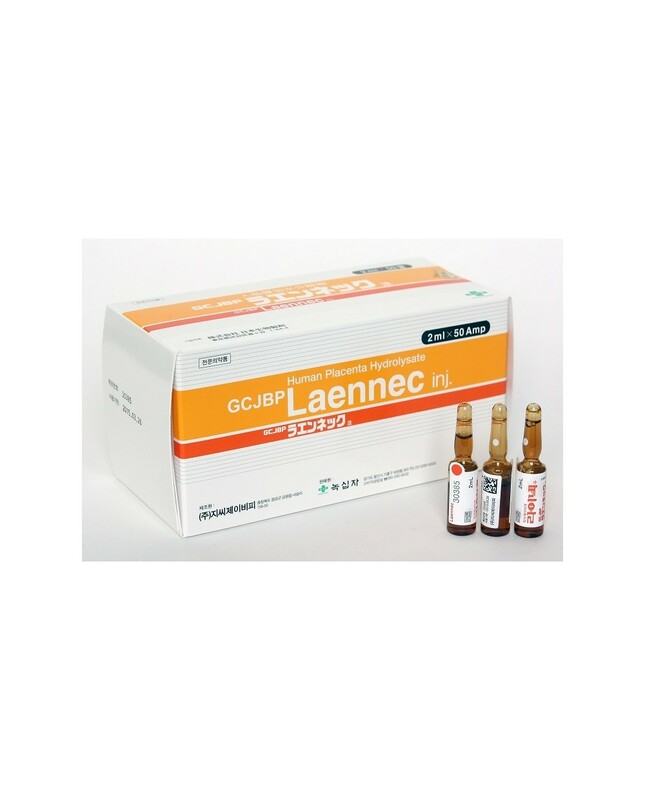 Laennec is the most effective whitening, anti aging for glowing and flawless skin. 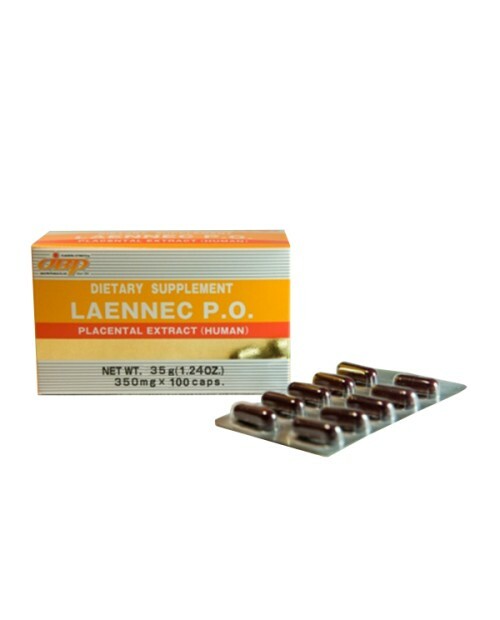 There is no other single therapy currently available that can have an impact on aging than Laennec Placenta Therapy. 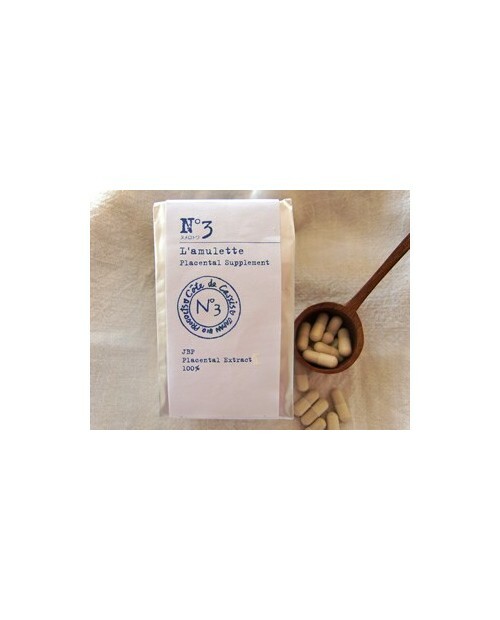 Results are Fantastic and guaranteed.